I am not very good at “trying not to get excited.” Last night at about 9:15 we submitted an offer on a house. Not just any house, but “the one.” The House that could become “the one that got away” if it doesn’t work out. And now we wait. I have said to anyone that will listen today that I feel like I asked a girl to prom and she just stared at me. Not yes, not no. Just nothing. I understand the dance. The Negotiating Dance. But I don’t enjoy it. I can’t. I am too busy trying not to get excited. So when we sat down to dinner tonight I didn’t expect to get hysterical giggles. Maybe I should have. Nobody makes me forget my troubles like the goons I live with. “So, what are you gonna do?” he asks her. 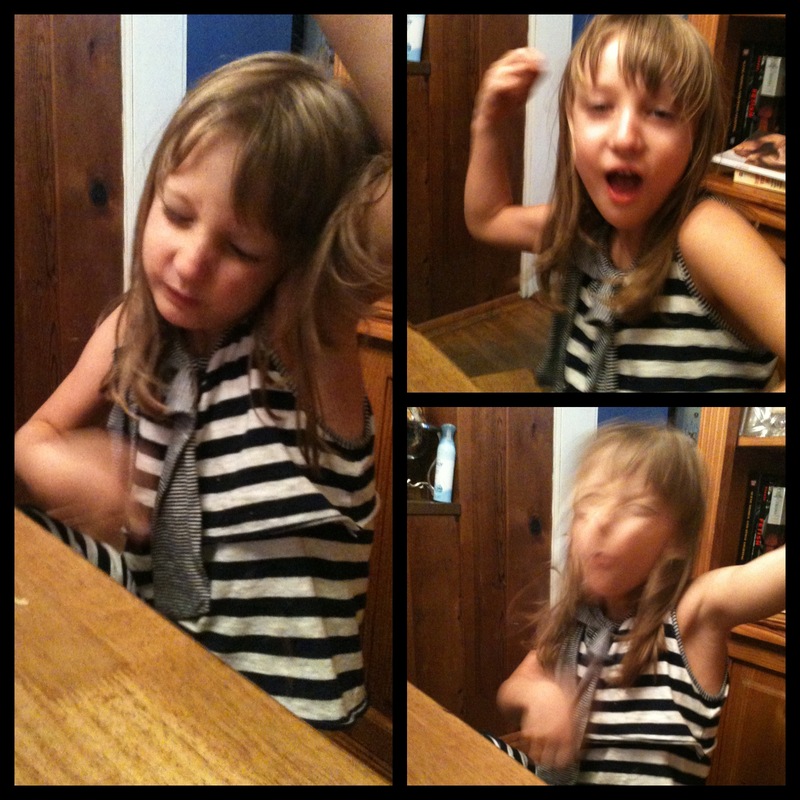 She pauses only briefly before she busts out her own sick air guitar. Duh. What do you think she is gonna do to combat your efforts to embarrass her with your air drumming? Show you up with her fierce air guitar. Puhleaze. This entry was posted in Family, Parenting and tagged Buying a house, Family, Kids. Bookmark the permalink. excellent family you got there!